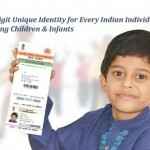 hii… i have an aadhar card ,my mobile number is also connected with it. But i couldn’t get the One Time Password.. what should i do now?? is there any procedure for that? ?